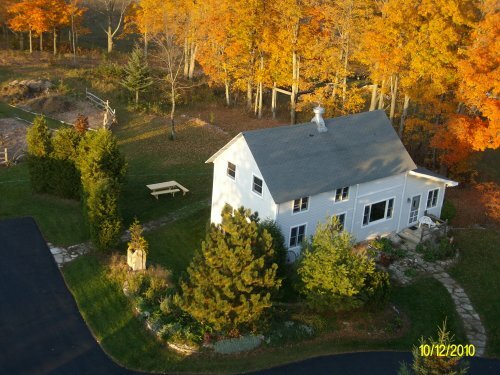 This beautiful timber-frame restored 1800's barn is located in the heart of scenic Door County, WI a popular vacation destination in the Midwest on Lake Michigan. The Four Seasons Barn House (approx. 2,000 sq ft) can also be found on Facebook; hopefully this link https://www.facebook.com/pages/Four-Seasons-Barn-House/130277850335026 will get you there and you can see more pictures. The masterbedroom on the 1st floor has a queen bed and adjoining bathroom with shower. The 2nd floor loft bedroom with uts own whirlpool bath bathroom has a queen bed and daybed with trundle. 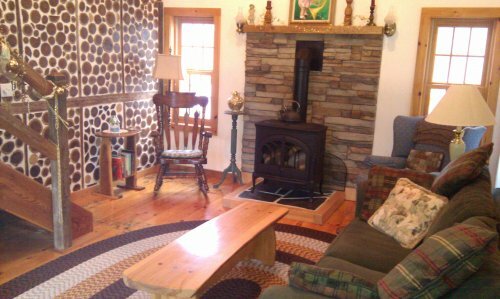 The living room has franklin gas fireplace (bonfires are outside under the stars) and a comfy queen sofa sleeper. Total sleeping capacity is 8 but its just as cozy for the two of you. 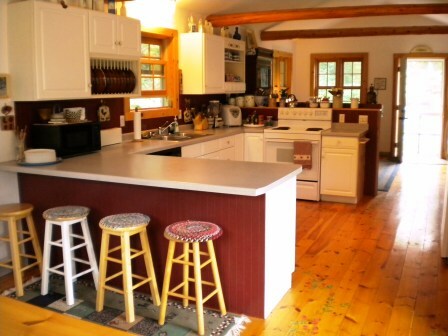 The kitchen is spacious, fully equipped and opens onto the back deck and orchard/gardens. 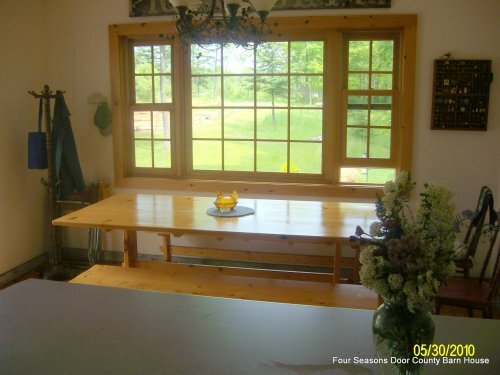 From the breakfast table you will look out over the beautiful 80 acres of rolling fields that separates you from the next road & neighbor. Enjoy the peace & quiet. My name is Dave and I bought an old homestead on 7 acres in the late 80's; some said it had been a church in the late 1800's. 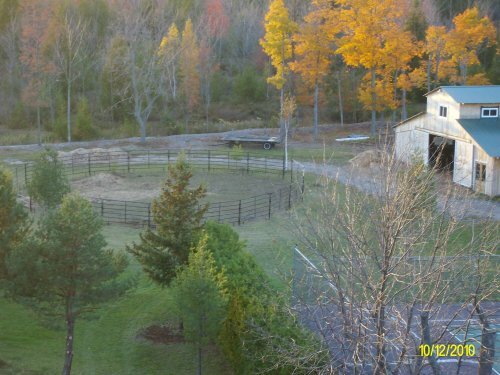 My goal was to create my own retreat - I saw tennis, horses, orchards and bonfires as big as I felt like building. Today I have accomplished most of these goals and enjoy having other people enjoy my labor of love. 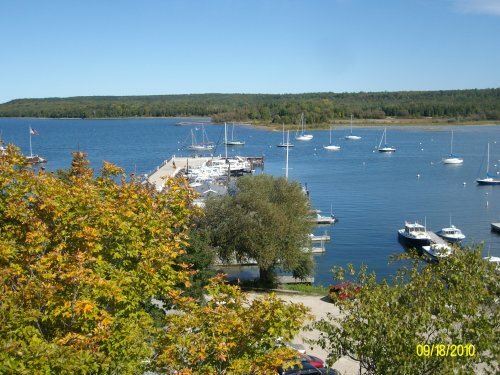 The original home & parsonage were combined for 3 small bedrooms, 2 bathrooms, wood burning fireplace in the kitchen and two beautiful decks one with an outdoor shower. Next came the sauna, workout room and the tennis court and gardens. 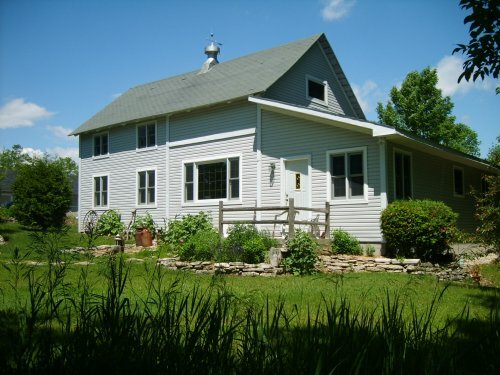 In the mid 90's I restored the old barn (the Barn House) for a summer living space for my parents and added more gardens. After losing a bunch of trees in a wind storm, I added a young apple orchard behind the Barn House; Mindy added flower and vegetable gardens, too. My most recent and ongoing project is a large kentucky-style barn that currently houses some of the wood that I've milled on my sawmill, Mindy's two horses - Phantom & Sierra, ping pong table upstairs in my evolving "man-cave" and a very affectionate & efficient barn cat named Jumby. Don't worry about any animal or plant care if you do stay here, we will have that managed. But, most animals would be welcome to accompany you.